Our wedding which took place at 3:00 PM on Saturday afternoon was held in the Trinity Lutheran Church in Onekama with the Rev. O. N. Behringer officiating. Rev. Kenneth Snow of the Brethren Methodist Church was soloist singing “I Love You Truly” and “Always”. Maid of Honor was Jeannie, sister of the bride. Mickey, sister-in-law of the bride, was bridesmaid. Best man was Hank Glover, half-brother of the groom. Ushers were Richard, John, and Norman Fredricks, brothers of the bride. Out of town guests in attendance from the groom’s side were his mother, Mrs. Harry Glover; Sister-in-law and Nephew, Mabel and Stuart Glover; and Uncle and Aunt, Burt and Frances Watt. 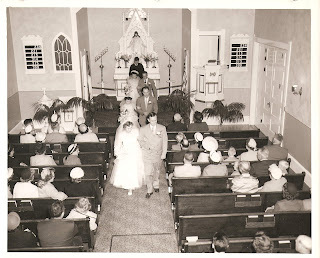 In addition to Otto and Daisy Fredricks parents of the bride, the church was near full with relatives and friends of the bride too numerous to mention. A dinner on the farm followed the ceremony at 6 PM for the wedding party and guests of the bride and groom. The reception was held at the Wellston Township hall at 8 PM with a Polka Band and plenty of refreshments, including a huge wedding cake. At the stroke of 12 the newlyweds retired to a cabin they rented in Bear Lake. The next day, Sunday, after lunch at the farm Bruce and Audrey loaded up their car and departed on an abbreviated honeymoon. Sunday evening they stopped at a motel in Clare and spent Tuesday and Tuesday evening in Frankenmuth. Wednesday morning they headed for their summer home at my mother’s residence in Hazel Park. 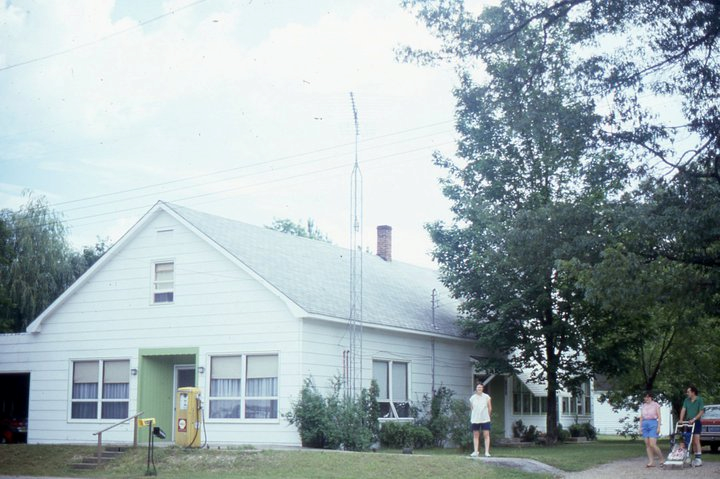 My Mom had went with Uncle Burt and Aunt Fran after the wedding to spend 2 months in Marquette and thus the newlyweds had the place to themselves to get used to the married routine if there is such a thing. The bride and groom beginning their lives together. Followed by Jeannie Fredrick and Hank Glover; Mickey and Richard Fredericks and Pastor Behringer. Front Row-Left (L-R): Stuart Glover, Mabel Glover, Sarah Lilla Glover, mother of the groom. Second Row-Left (L-R): Fran Watt, Jean Watt, Burt Watt and Edythe Glover. Front Row-Right (L-R): Otto Fredricks, Daisy Fredricks, parents of the bride. Those Who Lost Their Life Serving Our Country. My niece, Cutie Pie, is two! The terrific two's! In the last year I have gotten to see her twice. Once last summer and again at Thanksgiving. I can't wait to see her again. I hope she has a terrific 2nd birthday. Giddy Up, My Birthday is Here! Here we come to celebrate my day! Imagine my surprise when I opened an envelope from Germany and found a book titled, "Heimat an Netze Brahe Weichsel" in it. I received this book through a Fredrich researcher, Michael, who lives in Groβ Kiesow, Germany. Michael sent it to me because it contains pictures from the area where our ancestors lived, the Prussian area around Bromberg, now Bydgoszca, Poland. 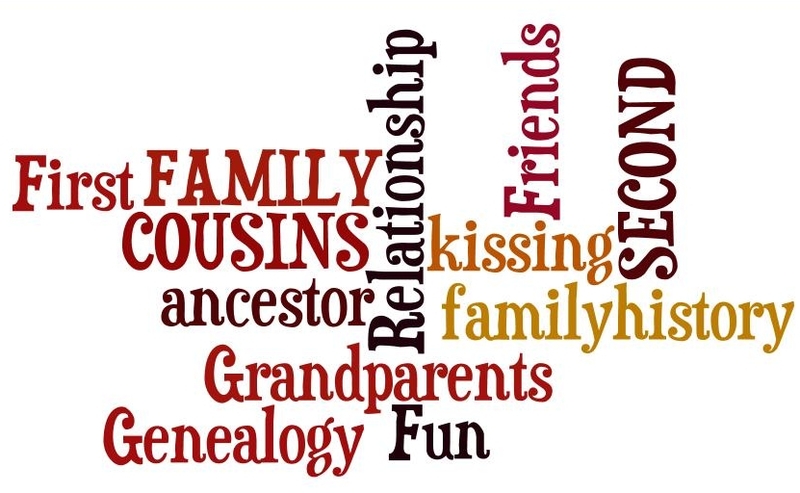 I have always said genealogists are the most generous people. Thank you, Michael. The first thing I had to do was google translate the title: home networks to Brahe Vistula. This didn't make a lot of sense to me. I did a little more research and realized that Netze, Brahe and Weichsel are rivers in what use to be Prussia, now Poland. I believe the book is, "Home to Netze Brahe Weischsel". The book was edited in 1940. I have a marriage record of Henriette Fredrich and Johann Zobel, my great aunt and uncle, from near Nakel, which is Nakło nad Notecią today. Weichsel is the German term. Today it is called Vistula. There are 53 major cities and towns along this river, which is Poland's longest river at 651 miles. One of the cities it flows through is Bydgoszcz (Prussian's Bromberg). Bromberg, Prussia, now Bydgoszcz, Poland is the area that Michael believes our ancestors come from. He plans to visit the area this summer. Heimat an Netze Brahe Weischsel is an 80 page book filled with historical pictures of the area. There are pictures of beautiful, old churches, buildings, statues, street scenes, farmland, and more. I have only translated about half of it, using Babylon translator. The cities I have come across so far are Bromberg (Bydgoszca) and Thorn (Toruń). This genea-gift is wonderful. It gives me a feel for the area where my Fredrich ancestors first came from. 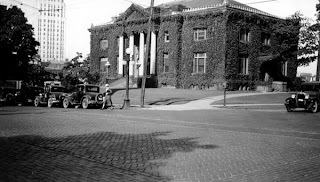 I have written a number of posts about my great, great grandfather, Samuel S. Glover Jr. 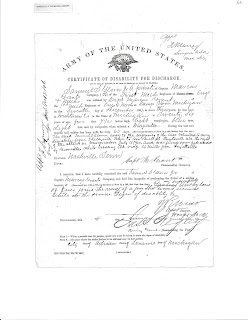 I ordered his civil war pension file and have found quite a few pages that contain genealogical information. The Certificate of Disability is one of those. 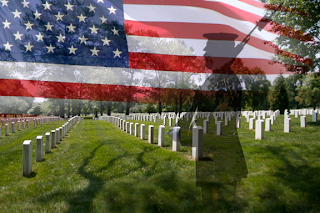 This certificate provides his birth county, age, physical description, and occupation before enlistment. In addition, it gives the city, county and state where further correspondence can be addressed after discharge. This certificate of disability, which I transcribed below, also provides information on his gunshot wound and how he received it. months said soldier has been unfit for duty 60 days. by Guerrillas while crossing Elk ridge 12 miles from Fayetteville. it was converted into a family room and no longer used as a store. Every genealogist I know has been eagerly awaiting the release of the 1940 Census images and I was too. I was on vacation the first day the images were online and I had to wait a couple of days before I got my chance to look at them. I have spent the last month looking for ancestors in the census. The first person I wanted to find was my mother. My mother went to live with her sister when she was nine or ten, so I wasn't sure if she would be found with her parents or her sister. I was very lucky to find her on page one, she was living with her sister. I was surprised to see another sister, Lola, living there as well. I asked my mom about it and she said, Yea, Lola lived there and helped around the house and with taking care of her niece. Here are the 1940 Census Images for the Carl Tritten household, found in Brethren, Manistee, Michigan. 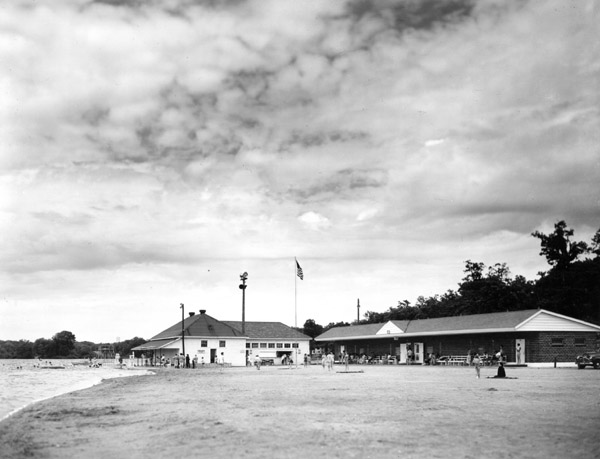 Carl Tritten, my uncle and godfather owned the house and store at this location. The store was located in the front of the house. (It is a pizza place now.) It sold gas in addition to other household items and food. My mother remembers helping in the store and scrubbing the wooden floors on her hands and knees. When someone would buy gas, she would have to go outside and hand pump the gas to get it from the underground tanks. It would fill up in a glass globe on top of the pump and then went from here to the car, via a hose similar to what we have today. Kathryn L. (Fredrick) Tritten, my aunt and godmother. The oldest daughter of Otto A. Fredrick and Daisy (Graf) Fredrick. 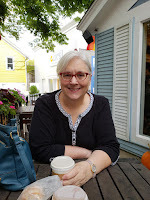 Kathryn M. Tritten, the first child of Carl and Kathryn Tritten. Lola M., my aunt, second daughter of Otto A. Fredrick and Daisy (Graf) Fredrick. She is listed as a maid in a private home. She was working in Uncle Carl's house. Audrey J., my mother, and the eighth of eleven children born to Otto A. Fredrick and Daisy (Graf) Fredrick. Louis Contardi, a boarder and school teacher at Brethren, Michigan. The school was just a short two block walk from here. 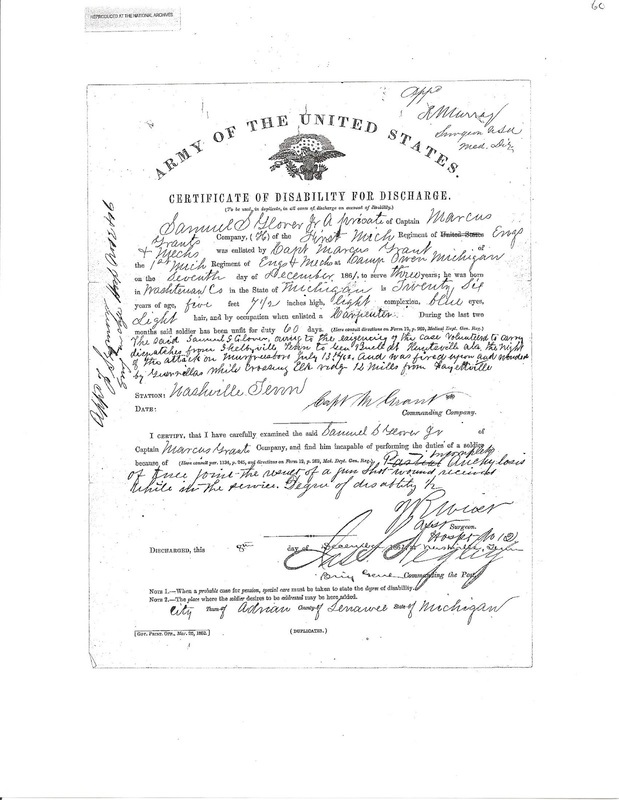 Source: Manistee, Michigan, marriage certificate no. 653 L.2 p44, Johann August Fredrick and Louise Fredrike Zastrow; Manistee County Clerk Office, Manistee, Michigan. 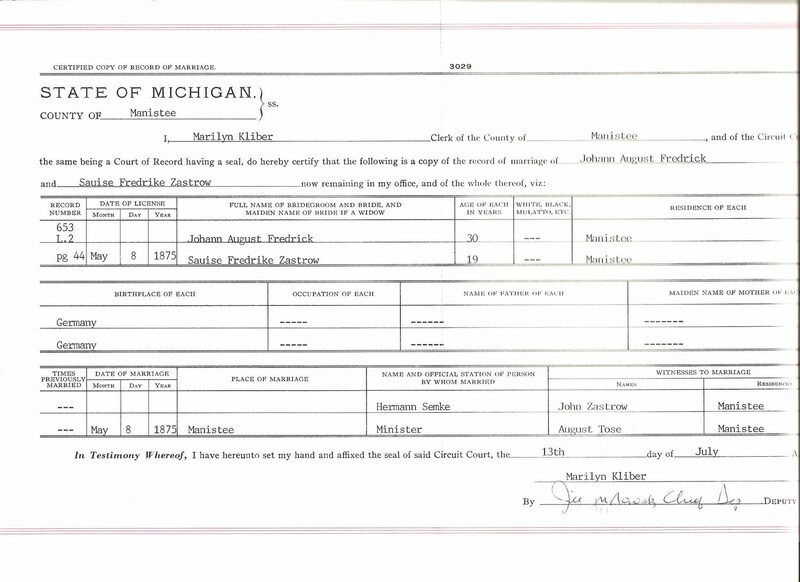 137 years ago today, J. August Fredrick and Louise Fredrike Zastrow were married in Manistee, Manistee, Michigan. 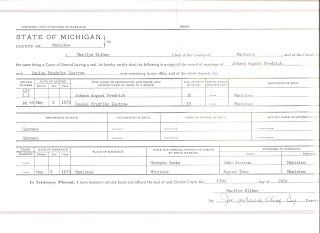 My mother and sister obtained the above copy of their marriage certificate from the county clerk's office in Manistee, Michigan. Using the information from the ledgers, the clerk transcribed Louise's name as "Sauise", not being able to read the "L". My mom explained that this was her grandmother and her name was Louise, but they said they had to write it as written, not realizing it was actually an L.
The same mistake was made on the minister's last name. Hermann Semke was written on the record, but the minister's name was Hermann Lemke. It makes me wonder if August Tose is transcribed right. Oh, well. Source: Michigan. Jackson County. 1874-1889. Family History Library, Salt Lake City, Utah. FHL microfilm 0941624. Family History Library, Salt Lake City, Utah. I never knew my grandfather Harry Glover as he died seven years before I was born. My dad didn't know a whole lot about him because his dad never talked much about those types of things. Harry is the one to blame for my obsession with genealogy though. My dad was writing his autobiography and wanted to include information about his father. I thought I could help him by researching online about him. The first genealogical record I ever found was Harry's World War I draft registration, from this one record I was hooked. I still remember the excitement I felt when I found it. I wasn't content with just that record, so I ordered the Jackson County Michigan birth index, from the Family History Library, to see if I could find his birth record. I located him in the index, indexed as Hally Glover. Next, I ordered the Michigan Jackson County Births, 1874-1889 microfilm(see image above) and the rest is history as they say. There are many reasons people, and I, blog. One of the reasons is 'cousin bait'. 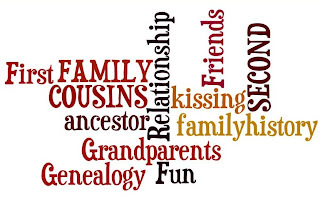 You put your family history information online in hopes of connecting with others who are researching your family, too. There is nothing more exhilarating than receiving an email that starts "I was researching my family and found your blog" or something similar. This has happened to me twice in the last month, both contacts researching my Fredrick line. My Fredrick line was a brick wall for about five years. It is only in the last year that I have had a major breakthrough, only the last few months that I knew where in Prussia, now Poland, they emigrated from. My new cousins are granddaughters of Emma Fredrich Chalmers, the sister of my grandfather, Otto August Fredrick, which makes us second cousins. I am so happy to be in contact with Mari and Barbara. I have lots of information on Emma that I didn't know which is wonderful and so helpful. I will be sharing it soon on my blog. In addition to information, I enjoy making new connections and learning from them. Mari has already helped me by identifying people in a picture I had. I had names, although in the wrong order, but not a clue of where they fit in the family. Now I know. I look forward to sharing my research with my new cousins. Who knew they were out there? I do now, and all thanks to blogging! I knew that my great grandfather, David Watt, had been injured in a train accident during his time as a train engineer, but I didn't know the extent of the accident. My dad remembers his grandfather being scarred and part of his ear missing. My cousin Judy sent me pictures of the intersection where the accident happened and the aftermath of the accident. First, I didn't know how close to death he came. He was 55 at the time of the accident. Second, I can't imagine what my great grandmother must have felt as she was taken by train to his bedside. Was she scared to get on the train? Did she travel alone? 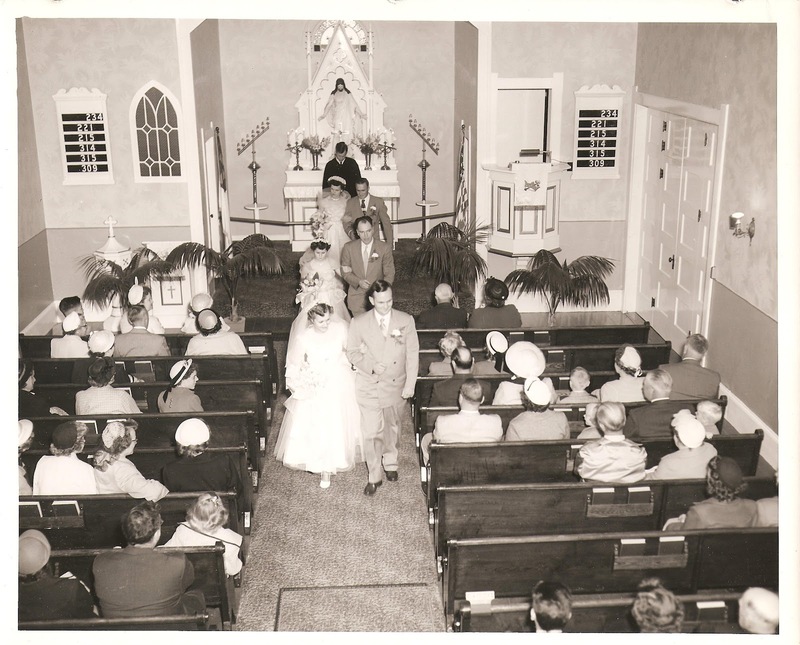 Was she remembering another time when she was in St. Ignace for her wedding to David Watt? She travelled from Marquette, Michigan to St. Ignace, Michigan, a distance, today, of about 170 miles. Also, I can't imagine the pain David Watt must have been in. Steam burns hurt like the devil. I have only been mildly burnt by steam while cooking. He was severely burnt. This accident happened in 1913, so I imagine burn care was primitive. There weren't any skin grafts. Salves were used to stop pain and infection. Infection and/or death was common as a result of burns. I have heard how painful recovery from burns is with our modern medicine. Can you imagine what it was like in 1913? 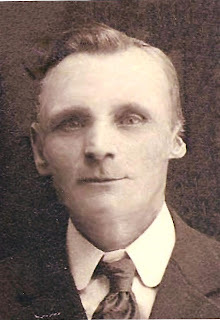 Picture of David Watt taken sometime after his train accident in 1913. Notice part of his left ear is missing. David Watt survived his burns and lived another 32 years. In addition, he eventually went back to work. What a strong, courageous man he must have been. I can only get to know him through articles like this and my father's memories of him. Memories I will cherish. Source: "Train Crash; Engineer Hurt," The Evening News, 20 October 1913, Article relating to David Watt's injuries from a train accident in which he was the engineer. ; online images, Genealogy Bank (www.genealogybank.com : accessed 28 April 2012), Historical Newspapers; The Evening News, Vol 13, No. 160; Front Page Column 1. Several coaches were derailed and an engine each on the Soo Line and South Shore roads suffered considerable damage as a result of a collision which occurred last night at the joint railroad crossing at Trout Lake, when South Shore train No. 2 collided with the Soo line train No. 7, which left this city last night at 6:20 o'clock. The exact cause of the collision has not yet been learned. All of the passengers on both trains were considerably jarred when the two trains struck and some, it is stated, were bruised quite badly. From the information obtained so far, the only person who sustained serious injuries was David Watt, engineer on South Shore engine No. 2, who was severely burned. The engines were about demolished and the coaches were damaged slightly. It is stated that the South Shore train has the right of way at the crossing. It is possible that the Soo Line engineer did not notice the approaching train, as there was a string of box cars on the "Y", which, it is thought, would obstruct his view. 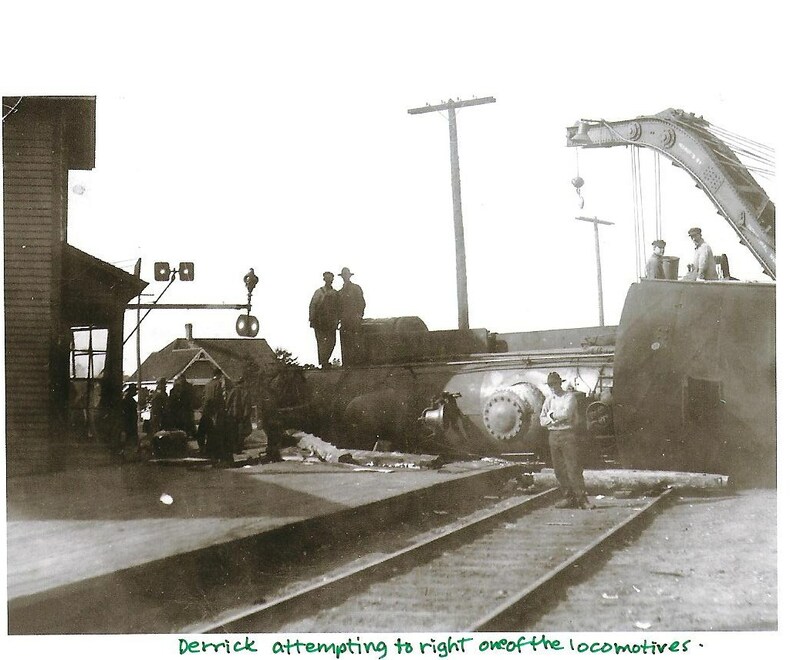 David Watt, of Marquette, engineer on the South Shore train, was penned in his cab when the engines struck and was severely scalded by escaping steam and water from the boiler. He was rushed to St. Ignace as soon as possible, where physicians are endeavoring to save his life. A special train carried Mrs. Watt to the bedside of her husband in St. Ignace in record time. Other passengers were severely jarred up and one woman suffered a broken finger. The hands of the depot clock at Trout Lake stopped at 7:46, recording exactly the time of the collision for when the engines struck the depot the clock was stopped. Considerable damage was also done to the depot."